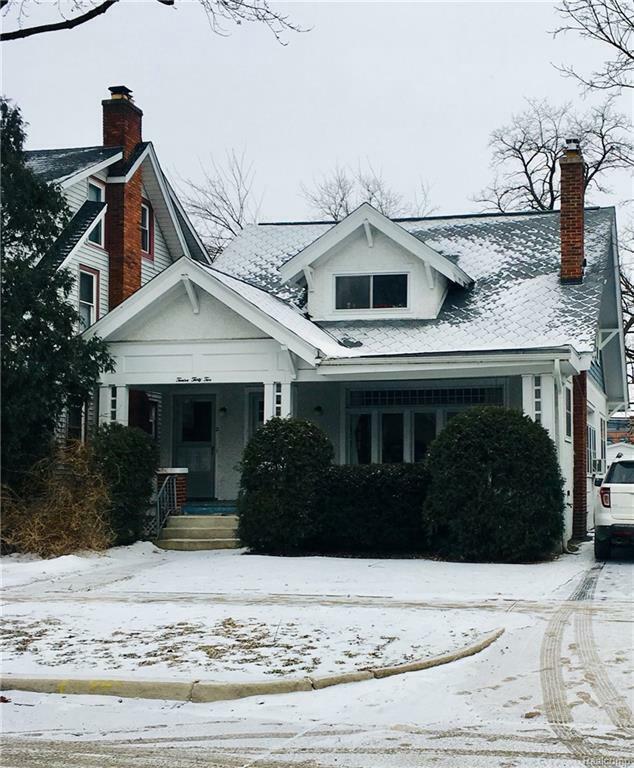 Beautiful multi-family home with partially fenced-in back yard, covered front porch and enclosed back porch, very close to UM Central Campus and walking distance to downtown Ann Arbor. Original oak floors throughout, tall ceilings with wood moldings, large windows at the front and side with matching glass patterns in the upper sections. On the first floor, living room with wood burning cast iron heater in fireplace, large dining room leading to the kitchen, 2 bedrooms, 1 full bath remodeled and updated with a water-efficient toilet. Downstairs kitchen updated in 2004 with maple cupboards still in excellent condition. Upstairs unit has a separate entrance and includes 4 rooms, 2 walk-in closets, plus a kitchenette (repainted 2017). Unfinished basement. Other amenities include new furnace (2019), and recently replaced good quality gutters and roof (2014). One car detached garage with new manual garage door (2018), and additional parking in the driveway.